One of the most highly regarded architects based in California, Scott Johnson is also one of the few architects who is well-known to the general public and the design profession alike. A prolific designer of residential, commercial and institutional building projects, a number of his best known designs have been widely published and have become local landmarks, including three high rise buildings in Century City, California, the Opus One and Byron Wineries in the Napa Valley and Santa Barbara County, respectively, Rincon Center in San Francisco, and the Capitol Area East End Complex in Sacramento. Born in California and educated at Stanford University, the University of California at Berkeley (BA in Architecture) and the Harvard Graduate School of Design (Master in Architecture), Johnson worked variously at The Architects Collaborative in Cambridge, Mass, the Los Angeles and San Francisco offices of Skidmore Owings Merrill and the office of Philip Johnson and John Burgee in New York City. For the latter firm, he served as Design Associate for some of Johnson Burgee’s most notable projects, including the Dade County Cultural Center, Houston’s Republic Bank Center, 33 Maiden Lane, 885 Third Avenue in New York City, and the Times Square Renewal project. During his tenure there, Scott Johnson also served as an assistant to Arthur Drexler in curating the ‘Three Skyscrapers’ exhibition at the Museum of Modern Art in New York (1981). 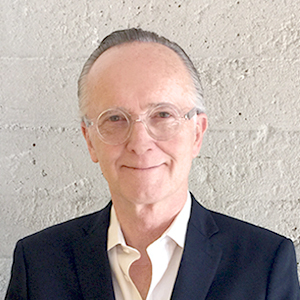 Joining Pereira Associates in Los Angeles in 1983 as Principal and Design Director, he and William Fain acquired the firm now known as Johnson Fain in 1988. In addition to designing nearly 100 built projects in the past 20 years, Johnson has also taught and lectured at various universities. He served as Director of the Master of Architecture Programs at the University of Southern California’s School of Architecture from 2004 through 2007. He is the author of the recent Essays on the Tall Building and the City, as well as Performative Skyscraper Tall Building Design Now, The Big Idea: Criticality and Practice in Contemporary Architecture, Tall Building: Imagining the Skyscraper, as well as Tectonics of Place: The Architecture of Johnson Fain. As Design Partner, Mr. Johnson is responsible for the direction and quality of the firm’s architectural and interior design projects.